After a year of searching, I have finally found the best laksa in Singapore at 波东巴西146 佳加. I have no idea what this joint is called in English, except it is also referred to as Sam Wei Food, and I don’t care either. 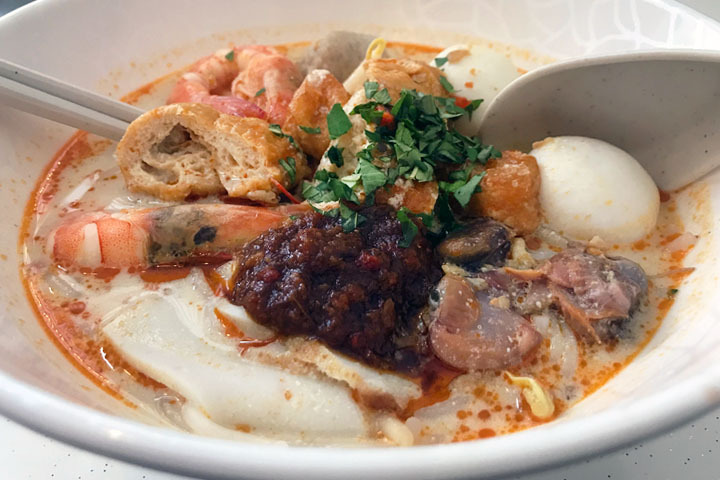 All I know is that it is a stone’s throw from my house and for just $5 I can get a bowl of some of the best laksa soup I have ever tried in my life. 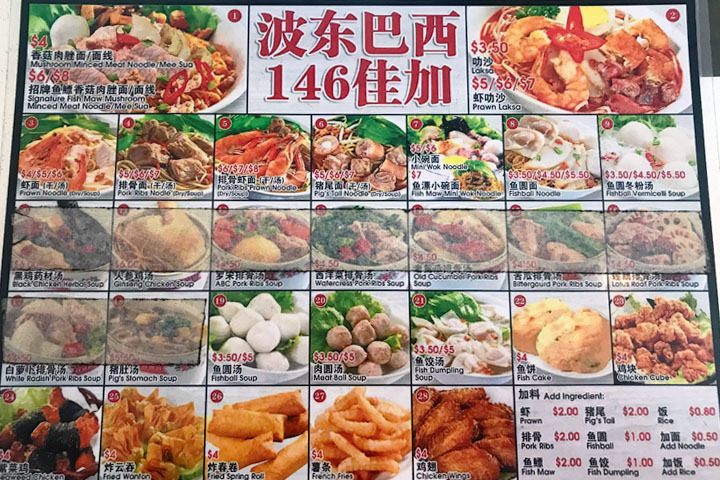 波东巴西146 佳加 is a relatively new addition to Jalan Besar Road and it is singlehandedly run by a very capable and highly energetic Chinese woman. She always greets customers with enthusiasm and proudly recommends al the signature dishes on the menu. Because she is a one woman show who does everything from taking orders and serving drinks to cooking food, sometimes service can be a little slow. But I enjoy coming here on a sleepy Saturday for lunch, when there are not too many people around, to indulge in a lovingly-cooked homestyle meal. The Prawn Laksa is incredible and comes in small, medium and large serving sizes. I usually order a medium bowl for $6, which comes with two king prawns, cockles, tofu, fish balls, fish cake and meat balls as well as a generous amount of soup, bean sprouts and noodle. When it comes to good laksa, the soup stock is everything. This laksa has a deliciously thin coconut broth flavoured with prawn stock and just enough curry spice to give it an edge. But it is the fleshy, fishy flavoured cockles that give it the extra special touch that keeps me coming back for more. While the Prawn Laksa at 波东巴西146 佳加 is excellent, equally so are the Prawn Noodle. 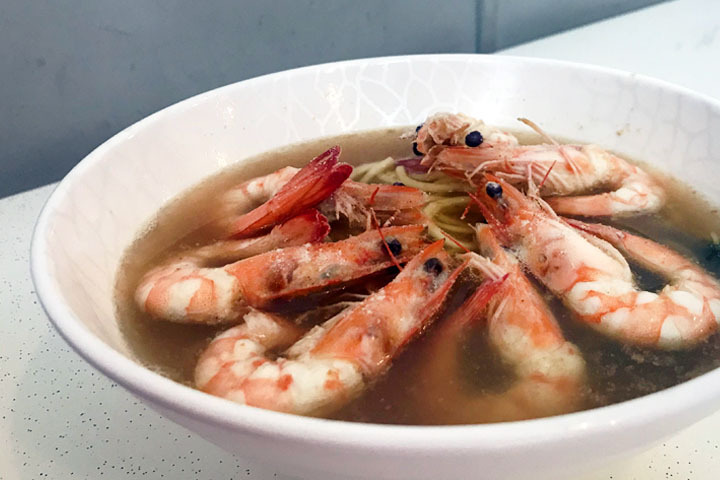 For those who are familiar with the Singapore food scene you will know that Prawn Noodle is a classic! Nothing fancy, just prawns (usually served in the shell) with noodles, special chilli sauce and soup. At 波东巴西146 佳加 you can order the dish dry or wet. The largest serving size costs only $6 in which you get 6 huge fresh prawns. 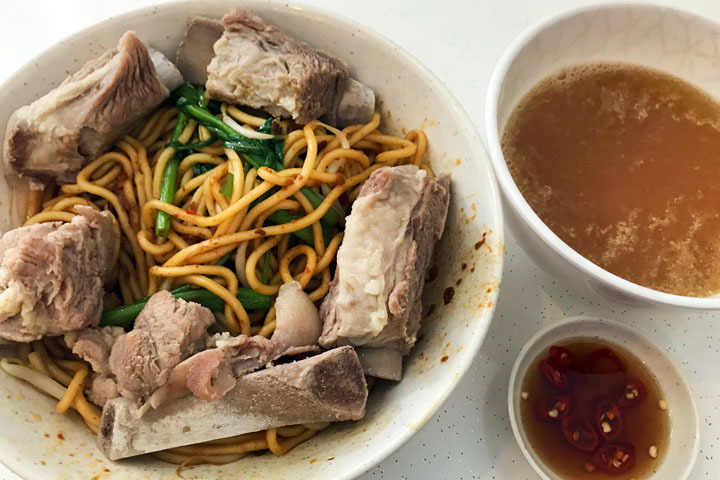 I can also recommend the Pork Rib Noodle, which I prefer to eat served dry whereby the thick yellow noodle is tossed in soy sauce and red chilli, with hot soup on the side. The menu at Sun Wei Food on Jalan Besar is relatively simple. They do just a few dishes and they do them well. They also serve fish dumpling soup, which is one of the old school dishes you see less and less at the hawker centres and is perfect for a humid hot day when you feel like something light. However the appetisers on the menu such as the Seaweed Chicken and Fried Wonton are nothing to write home about. However the service is personal. Every time I come here, the lady running the joint remembers what I like to order. There are very few sit-down restaurants with air conditioning that serve delicious homemade recipes for under $7. 波东巴西146 佳加 otherwise known as Sun Wei Food is one of them, and their signature Prawn Laksa dish is amazing. 波东巴西146 佳加 are a new addition to the neighbourhood and it is unclear if they will make it along this competitive food strip. However I hope they do and I highly recommending popping in for a cheap lunch.